I probably learned more from my mother's retirement experience than anyone else's. When she retired, she wanted security, lived austerely, but had no idea whatsoever of enhancing value. And therein lay the disaster. My mother sold her home, moved into a seemingly more secure rented complex, and placed all financial resources into a low interest bearing building society account in an extremely high inflationary environment. A few years after my mother retired, she was in and out of hospital eventually, she died from cancer. This really brought home to me the importance of serious retirement financial management. If it wasn't for the buoyancy of her pension and the financial assistance from her children, my mother might otherwise have landed in serious financial difficulties. Times have changed considerably since this happened. The environment is a lot more demanding and a lot more complex. The most striking feature today, perhaps, is that the responsibility for retirement planning has shifted from employers and pension funds to the individual. 1. Will you have enough to retire on? 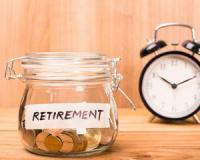 Check that your pension or provident fund will provide enough for you to retire on. On average pension and provident funds provide for only 65% of required retirement income. If you retire at age 60, your retirement years may be almost as many as your working years, and it’s estimated that you will need approximately 10 to 12 times your final average salary just for income purposes. A lot of people take it for granted that by merely being invested in some or other pension fund they’ll be okay. Far from it. Some putrid negative growth performances have been churned out in recent years. The top fund managers generally have been generating in excess of 20% a year during the past three years. This includes frail care that tends to rise extensively on retirement, with medical inflation being double to treble that of normal inflation. One out of every four people who have reached age 65 will eventually require some kind of long-term care. So, if you haven’t answered these three questions in your retirement planning, then I suggest you get cracking now. It’s the only way that you’ll avoid the most common retirement mistakes and retire wealthy. The interest rate will drop at the end of March! Is the Proverbial Christmas Market Rally likely to happen this year? Can the SA economy or your pocket handle another increase in maize prices?